44 Comments	This post may contain affiliate links. 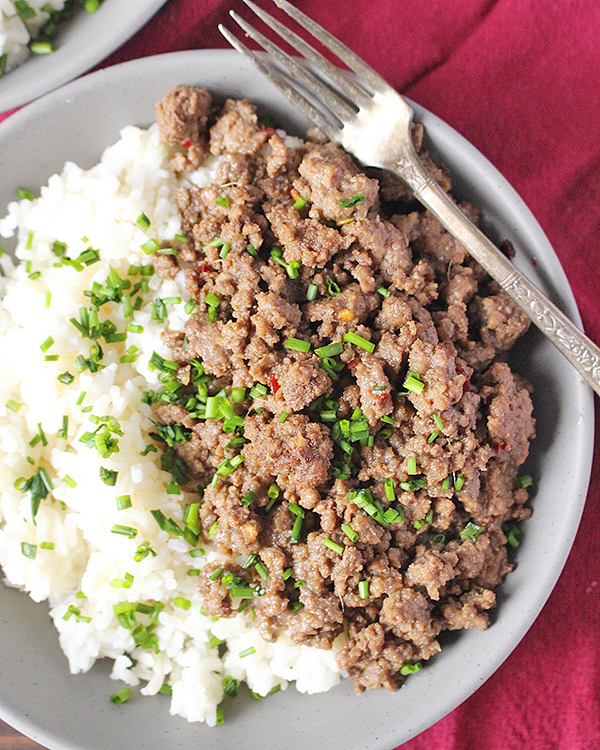 These Easy Paleo Korean Beef Bowls are fast, healthy, and delicious! 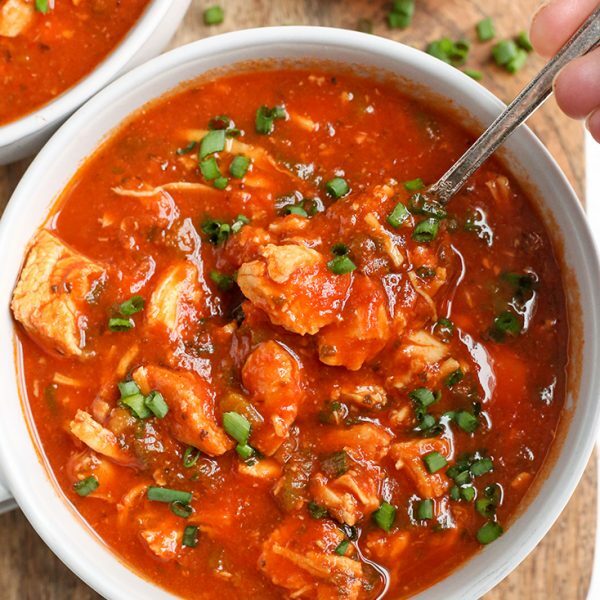 Ready in under 20 minutes and only has 8 ingredients. They are also is Whole30, gluten free, and dairy free. I saw this recipe on Skinnytaste and knew I wanted to make it Paleo. I left the brown sugar out (why is sugar added to everything? 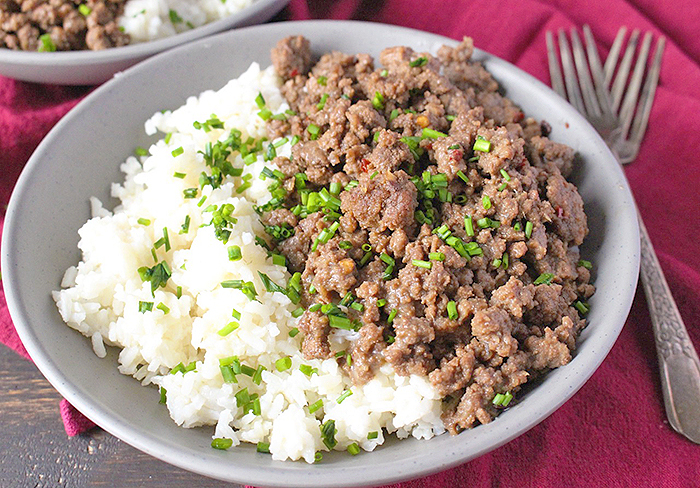 ), used coconut aminos instead of soy sauce, and didn’t bother using lean beef. With those easy swaps and I had a delicious meal that was so quick and easy. I served it with white rice because that’s easier to digest than brown, but if you’re doing a Whole30 make sure to use cauliflower rice or zucchini noodles. What I love about these beef bowls is how fast they are to make. If the rice is already cooked, dinner can be served in under 20 minutes! 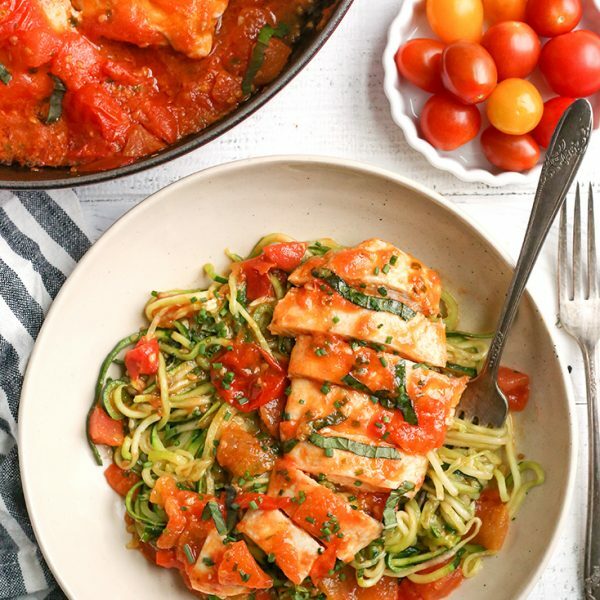 I know I’m always looking for more easy weeknight meals and this is definitely one! 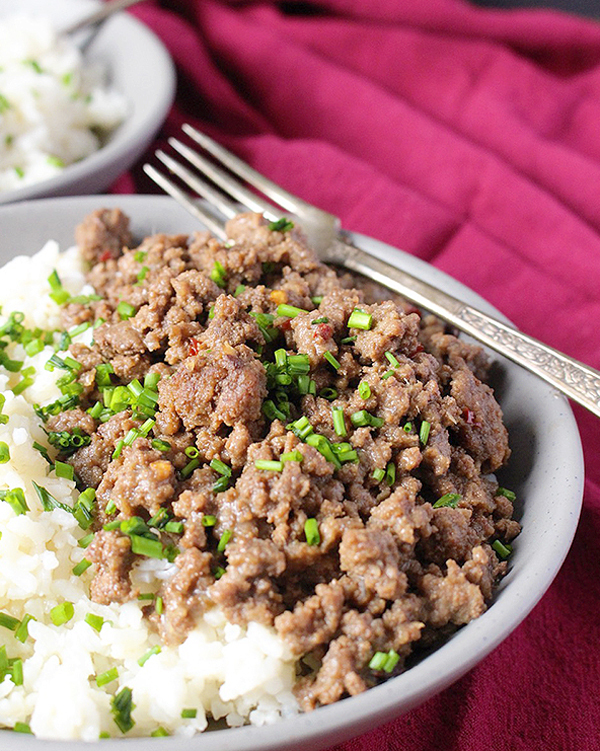 As plain as it looks, this beef is actually packed with flavor! 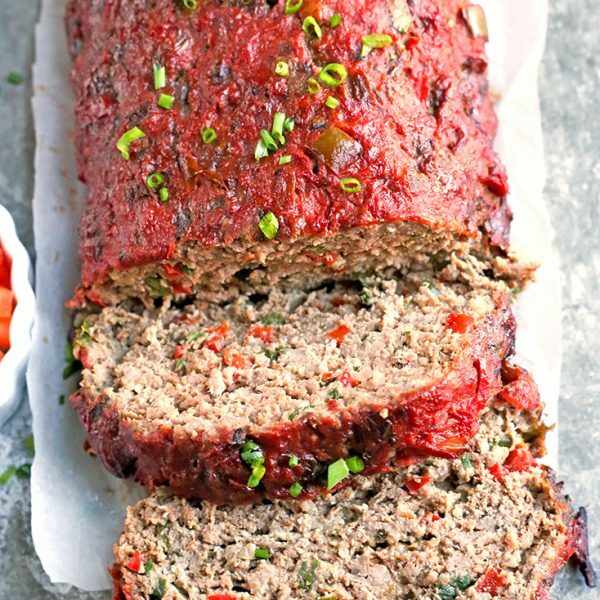 The ginger, sesame oil, and red pepper make it so good and anything but boring! I love that 8 simple ingredients can produce something so tasty. 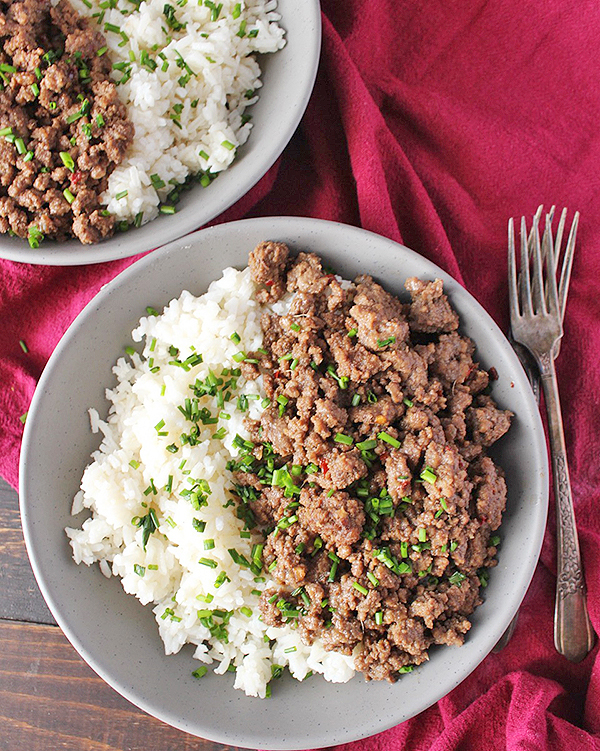 You will love these Easy Paleo Korean Beef Bowls because they are easy, quick, and healthy. 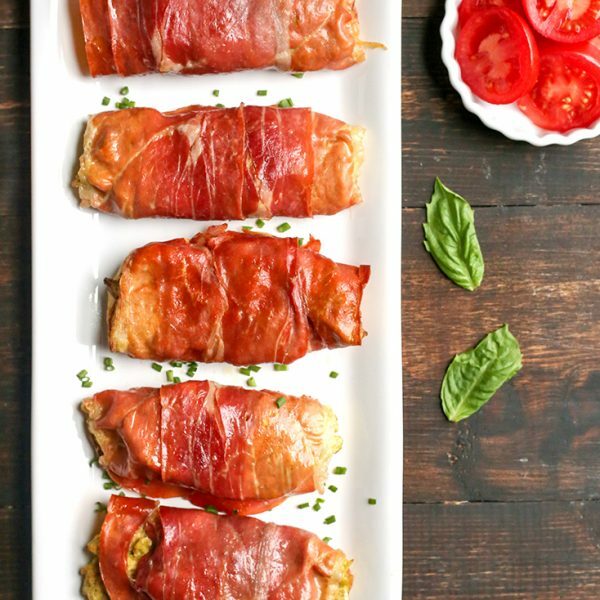 A great weeknight dinner that you will make over and over again. Here are a few other Whole30 ground beef recipes that you may enjoy- Paleo Sloppy Joes, Oven Baked Meatballs, and Easy Paleo Chili. Updated 11/18 with Low FODMAP instructions in the notes section. Add the ground beef and sesame oil to a large skillet and cook on medium heat. Add the ginger, red pepper, salt, garlic powder, and onion powder and continue cooking until the meat is browned. About 8 minutes. Add the coconut aminos and cook for another 5 minutes. Serve over white rice or cauliflower rice if doing a Whole30. *To make low FODMAP, use 1 tablespoon garlic oil in place of the garlic powder and 1/3 cup chopped green onion in place of the onion powder. I just tried this for my almost one-year old and husband and it was a HIT! My baby could not get ENOUGH of it. Thank you so much for posting the recipe. You’re welcome, Hang! I’m so glad you and your family love it! Your baby sounds like my little girl- she loves big flavors like this. Thanks for trying my recipe! Wow!! This was full of flavor! Leftovers are delish as well. Thank you for adapting this to Paleo and removing the sugar. It’s not needed in this recipe. This is a keeper and so easy to make!! I was in and out of the kitchen in no time. This is one I will make often. This was a awesome meal .I added frozen peas for a little color. Thanks, Reginald! I love the idea of adding peas. Thanks for trying my recipe! This is one of my family’s favorite meals. I’m starting Whole30 this weekend so it’s awesome to see that we will still be able to enjoy it. FYI- it’s better to add sesame oil at the end of cooking. Cooking the sesame oil diminishes the flavor. I cannot wait to make this. I’ve heard of adding orange juice to Bulgogi, so I might do that with this recipe too. Thank you for the inspiration! You’re welcome, Jill! I love the idea of orange juice- that would add great sweetness. Hope you love it!